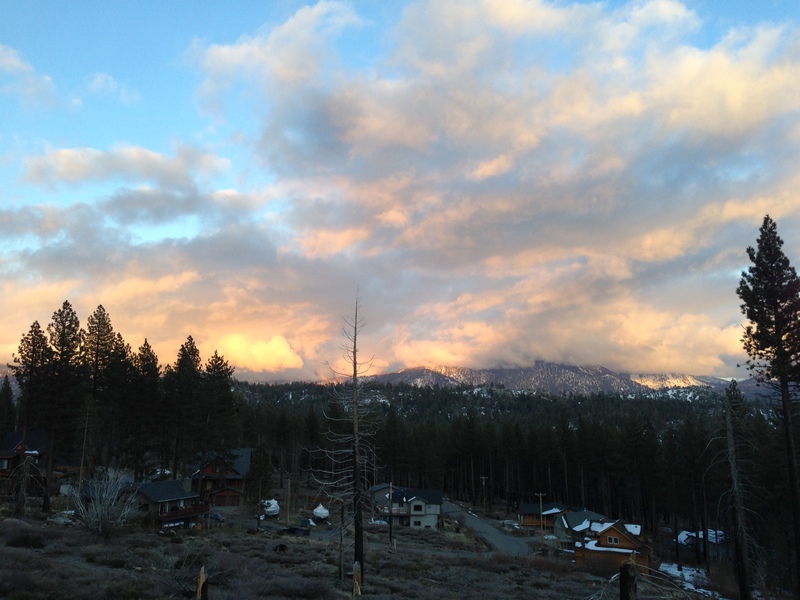 This past weekend we headed up to Tahoe for our friends birthday, he rented out a nice 5BR/4BR cabin in south lake Tahoe, only about 8 miles from Heavenly Ski Resort and the Casinos. The cabin was gigantic and had an amazing view, pool table, hot tube, BBQ grill, and TV’s everywhere. It was a perfect place to spend the weekend! As you can see below, I was pretty surprised there was basically no snow on the roads or around our cabin. Good thing the slopes still had decent snow. 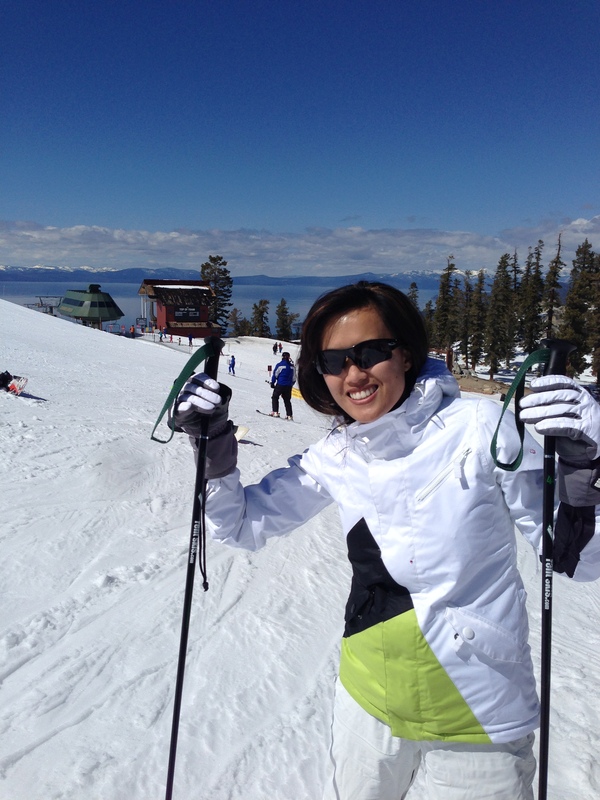 Since one of my to-do’s this year was learning how to ski, Andrew and I decided to take some lessons at Heavenly Ski Resort. 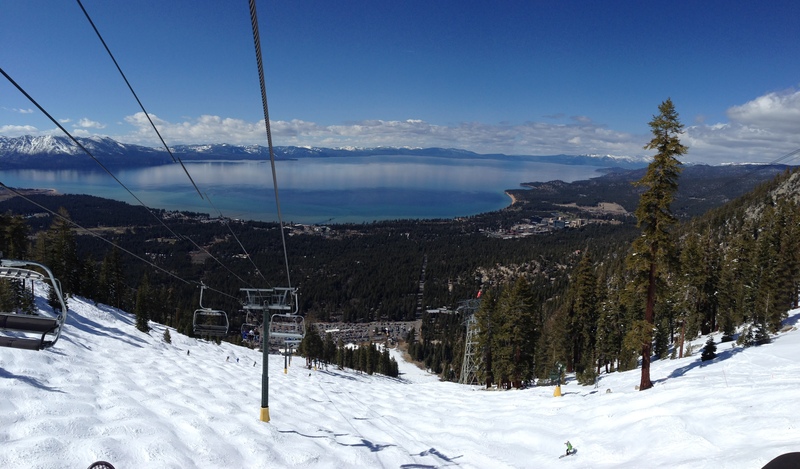 Heavenly is one of my favorite locations to go because its close to the casinos, it’s fairly large, close to a FATBURGER and has pretty good runs…most importantly it has unforgettable views of the lake! Learning skiing was fairly easy considering that we had snowboard in the past. We both learned quickly and were able to get a few runs in on our own. I did pretty well, learning to tie in my turns and only fell twice going to fast! I even did a few runs on my own, while Andrew took a little break. Overall, we had a great time and we got pretty lucky to get one of the last good snow weekends, can’t wait to improve my skiing skills next season!